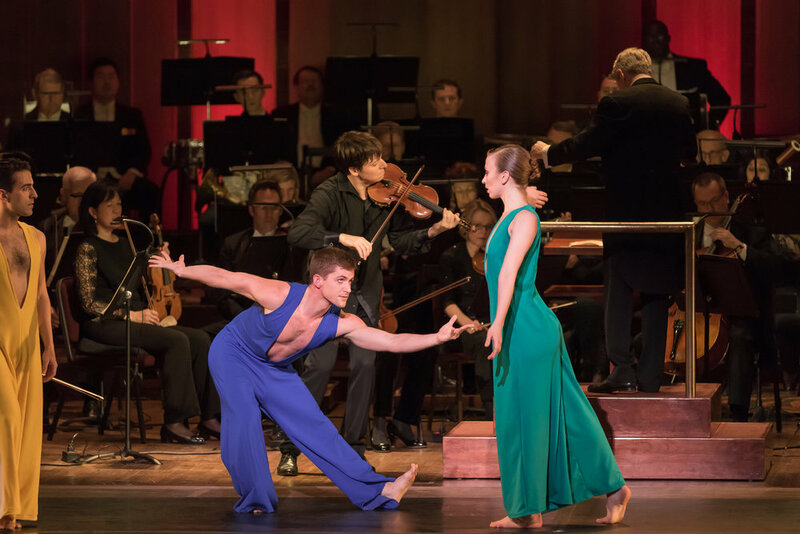 "The glorious finale brings all the work's joie de vivre to fruition." 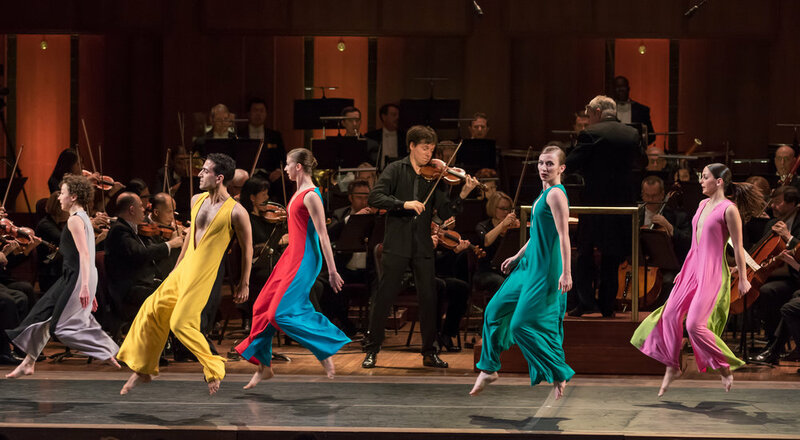 On the occasion of our 5th Anniversary, DH returned to The John F. Kennedy Center for the Performing Arts for the World Premiere of Lola, choreographed to Édouard Lalo's Symphonie Espagnole and performed live on stage by world-renowned violinist Joshua Bell and the National Symphony Orchestra, led by conductor Michael Stern. 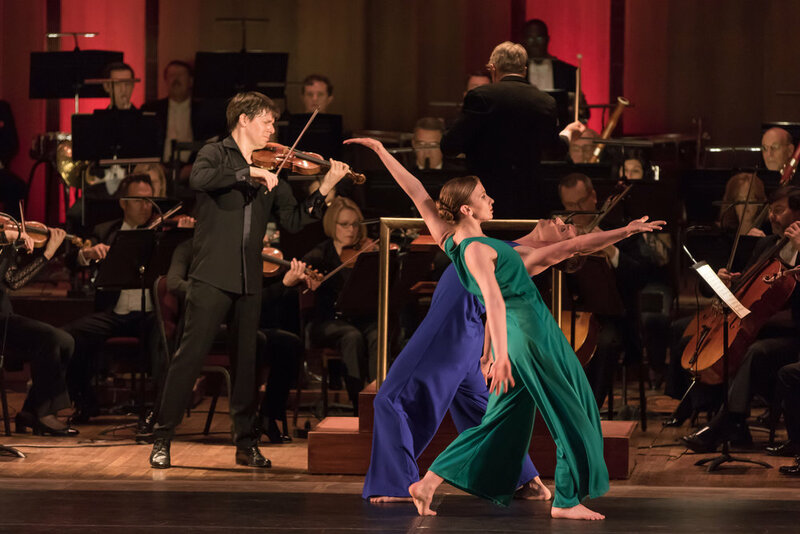 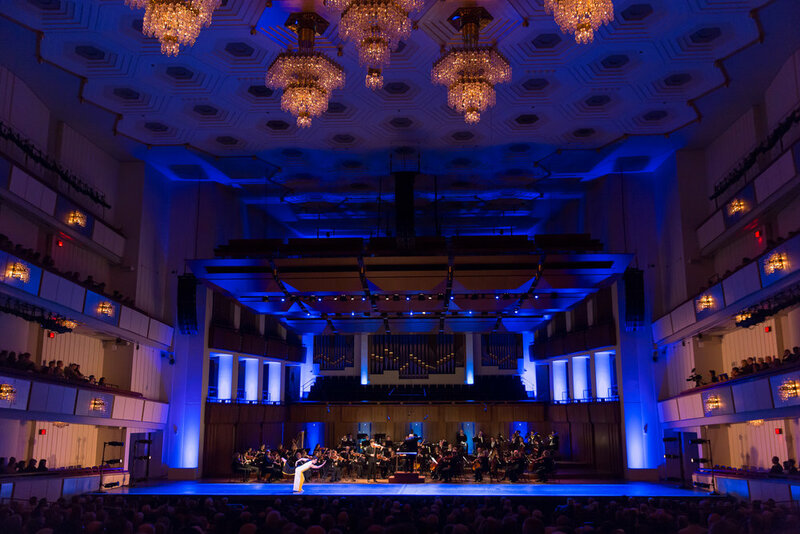 Lola was commissioned by the John F. Kennedy Center for the Performing Arts and the National Symphony Orchestra, Christoph Eschenbach, Music Director, as part of the 2016-17 season.